LOGAN — Police have arrested a man and woman suspected in a string of thefts and burglaries earlier this week. Chaedon Landon was booked into the Cache County Jail and Roxanne Clark was booked into the Box Elder County Jail Thursday. Smithfield City Police Sgt. Gary Bunce said Landon turned himself into officers, after investigators served a search warrant to a Logan home earlier in the day. “There was a stolen firearm that was recovered from that home that was involved in a burglary and subsequent vehicle theft in Smithfield that occurred on Tuesday morning,” explained Bunce. Landon is being held on suspicion of felony theft of a vehicle and firearm, plus multiple misdemeanors. 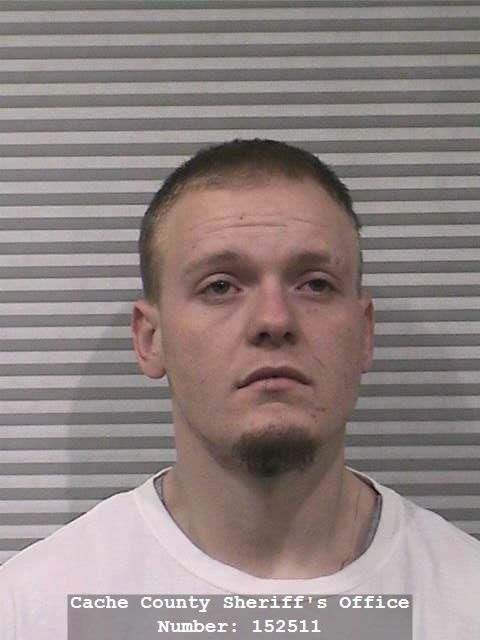 Clark was booked on felony aggravated burglary, vehicle theft and possession of a firearm by a restricted person. Perry City Police Chief Ryan Arbon said officers believe Clark used the recovered firearm Tuesday morning during a home invasion in Perry. Clark isn’t believed to have fired the gun during the incident, and the homeowner was not injured. Smithfield City officers later discovered the stolen truck in a Smithfield neighborhood. Another vehicle was reportedly taken out of a garage, just down the street. As officers investigated the incidents, they appeared to be related to the Perry home invasion. Formal charges are expected to be filed against Landon and Clark within the next week.